Setsubun is the day before the beginning of each season, but the term is generally used mainly for the spring Setsubun, celebrated at the start of February. Interestingly, in his book The New Year in Japan. Meiji-era photographer Kozaburo Tamamura included a photo of Setsubun as part of the New Year celebrations. This image is part of The New Year in Japan, a book published by Kobe-based photographer Kozaburo Tamamura in 1906. 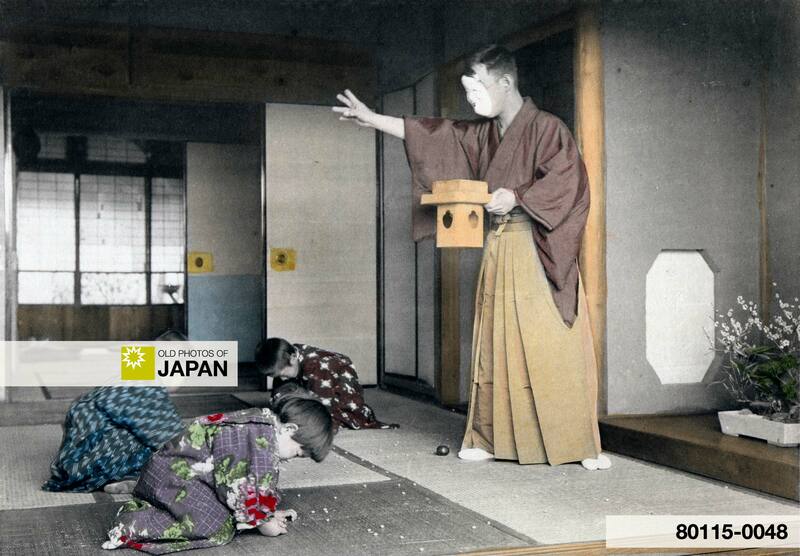 See all New Year images on Old Photos of Japan. You can also licence this image online: 80115-0048 @ MeijiShowa.com.